"Welcome to A Lovely Start! 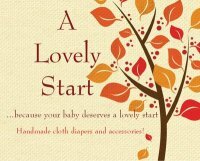 ...because your baby deserves A Lovey Start!" CC: When and why did you start your business? Michelle: After becoming a Mom, I started looking for a creative outlet, something that I could do and take pride in that was mine. I think that is why A lovely Start came to be. So when I bought my first cloth diaper for my son, I checked out the construction and thought, "I could make this!" And I did! 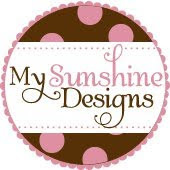 I began sewing for my children, then some friends, and then trades; in November 2008 I received my first custom order through word of mouth. I guess that was the official beginning of A Lovely Start! CC: Tell us what you envision and dream for the future of your business? Michelle: I really want to build and maintain a reputation while the children are still home all day. For now my quantities are not great, but I want to be sure the quality is. It is hard to keep up somedays, but I do what I can. My dream is to really expand and grow once the children are all in school and I have a little more time to sit and really create! CC: Tell us about some new products you are excited about? Michelle: I am really excited about some of the things I have been doing with Upcycled Wool lately! 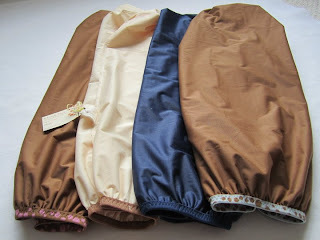 My embellished Footies are a new product I introduced this winter and they have been a hit! I have also upped the bar a bit on my embellished longies. I am very excited about an upcoming stocking of embellished woolies! I have also been working on a line of slippers and will be releasing those in time for the Fall! CC: What's your favorite part of your job? Michelle: That is a tough one, I love it all! Maybe the best part is when my two year old daughter comes in to "inspect" my latest creations. She gushes over everything, she is my biggest fan! CC: How does the balance of family and work play out for you? Michelle: I have to say, for now, Family is first. It is tough to balance and work happens when the kids are sleeping and the house is caught up... well at least the dishes are done! Good thing I am a night hawk! CC: Do you have a favorite quote? 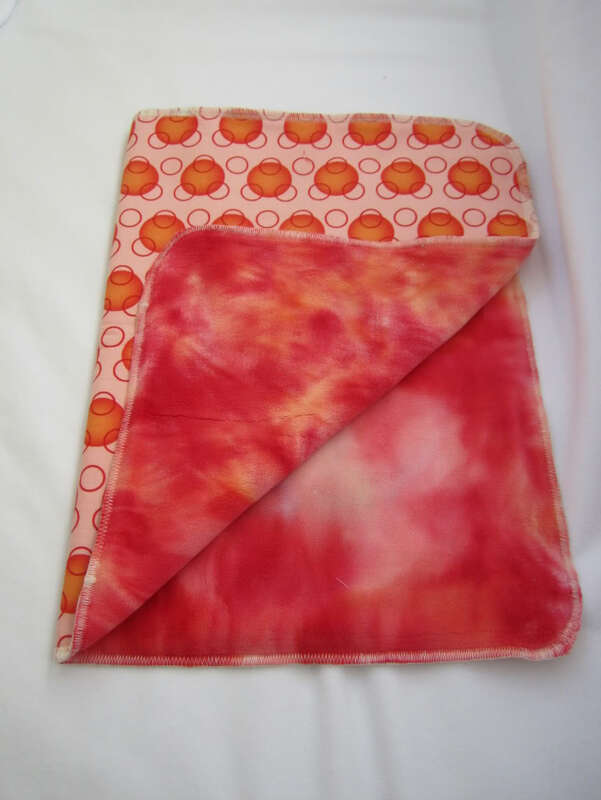 Small Upcycled Snap Wrap Super Soft felted Cashmere! 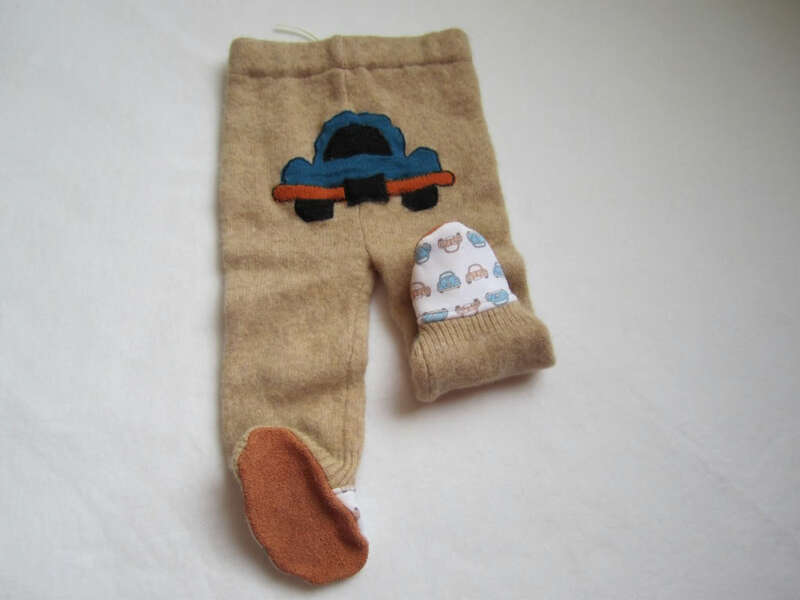 Upcycled Footie with Embellished Car on bum to match cotton knit car feet. Leather soled for no-slip early walkers. 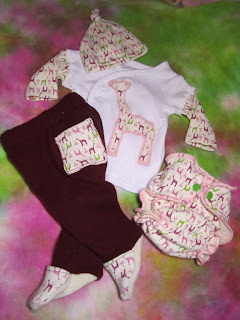 Upcycled Wool Footies with Embellished Crossover Top, bamboo fitted diaper and knot hat. I am super excited to post this review for a Pail Liner from A Lovely Start. Up until a couple days ago I had 2 children in diapers full time. We have enough diapers to last us so we can wash diaper laundry every other day. For the past 4 years I have just used a 10 gallon pail to hold our diapers between wash’s, but as you can imagine that gets stinky fast and had to be washed out every time I dumped the diapers in the laundry. The pail liner has made a big difference. bamboo tab for drops of tea tree oil or your favourite essential oil. I wash it right in with my diapers and even dry it in the dryer on high. There has been no problems with leakage and after approx 15 wash’s it still looks brand new. The elastic is still tight and the stitching is perfect. To get 25% off. Reg $17 but with discount $12.75 plus shipping. This deal won't last long so hurry and get yours!! Thank you for taking the time to read my blog. Grab a cup of tea or coffee and read through our posts to meet some of the most creative Canadian mama's out there!! !